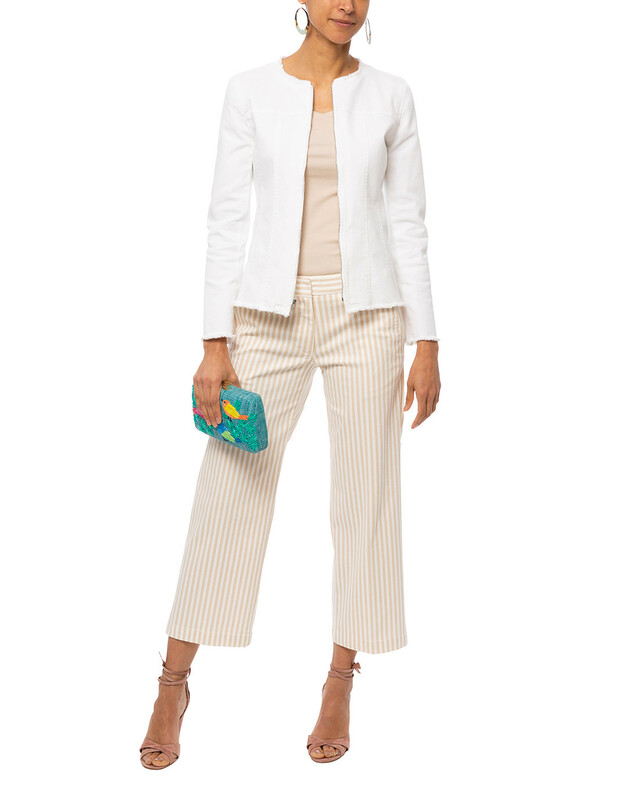 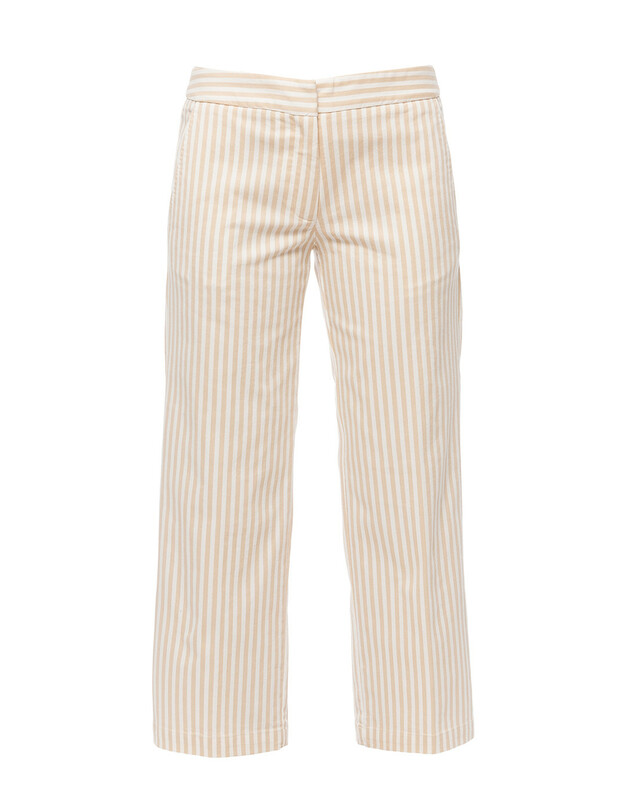 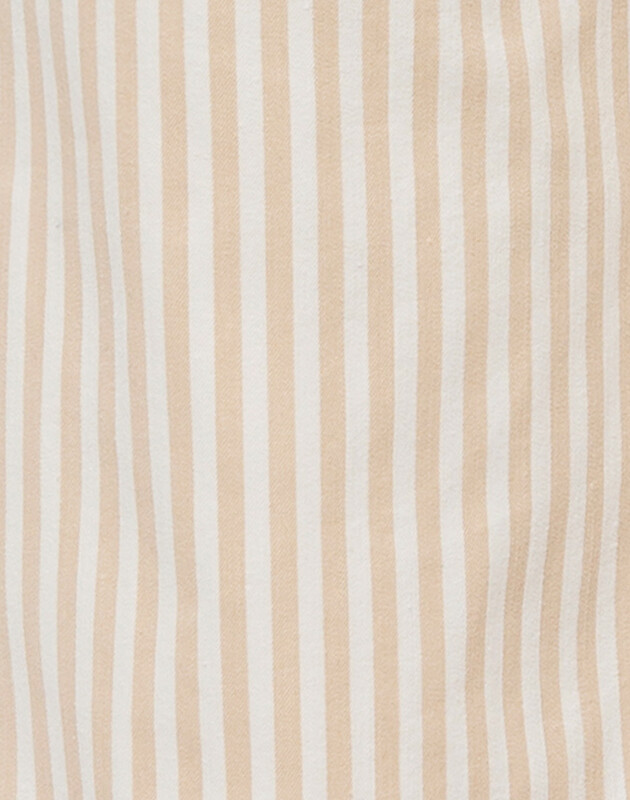 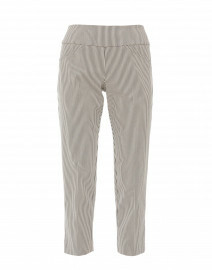 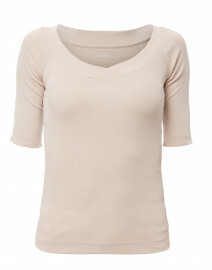 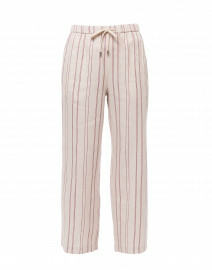 Elliott Lauren's beige and white striped pants are a fresh alternative to casual denim styles. 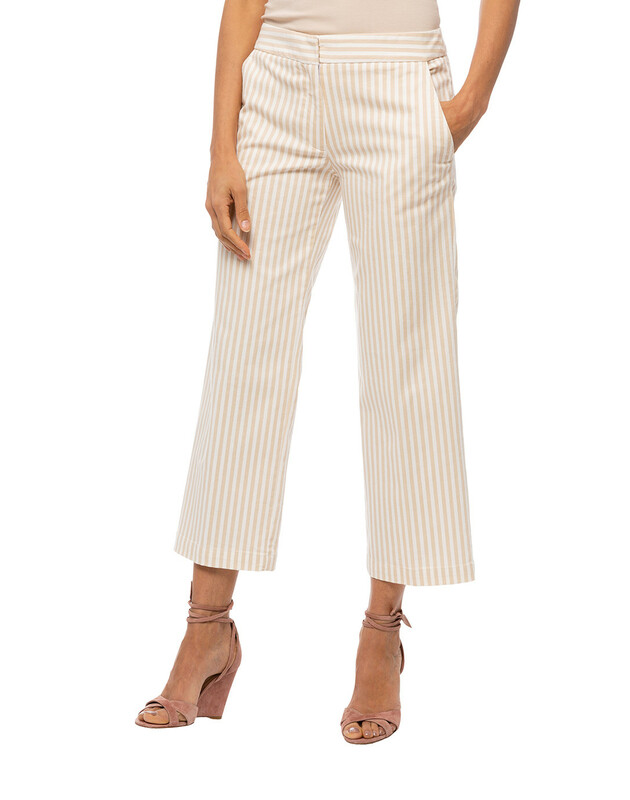 They're crafted from cotton blend, infused with stretch for day-long comfort, and have a mid rise and wide-leg silhouette. 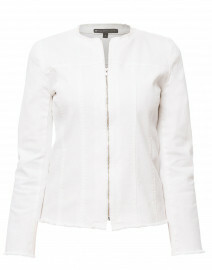 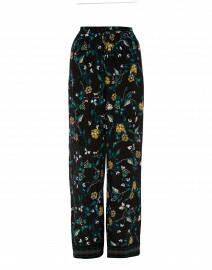 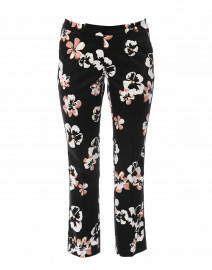 Wear them at the weekend with a denim jacket and leather flats. 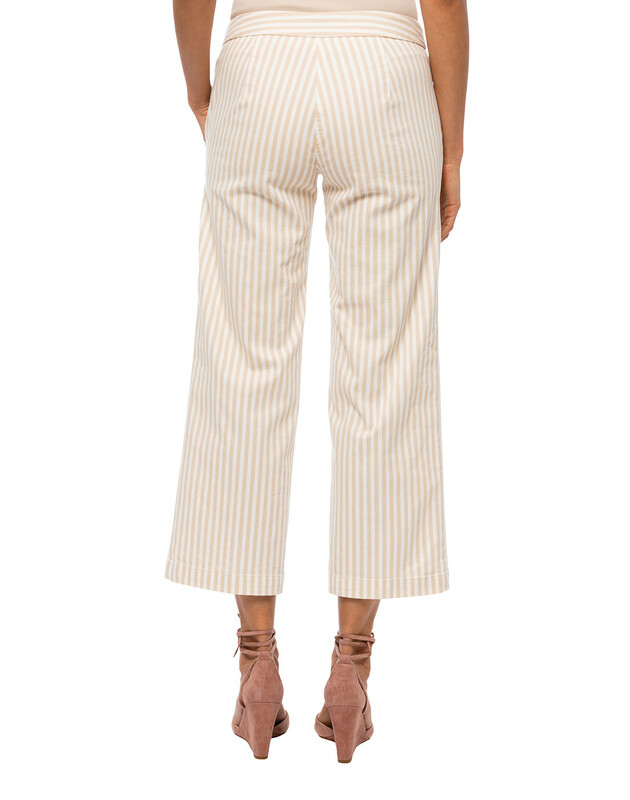 Waist 28" 30" 31" 34" 35" 36" 37"
Hip 32" 34" 35" 36" 37" 38" 39"
Front Rise 9" 9.5" 9.75" 10" 10.25" 10.5" 10.75"
Back Rise 12" 12.5" 12.75" 13" 13.25" 13.5" 13.75"
Leg Opening 17" 18" 18.5" 19" 19.5" 20" 21"